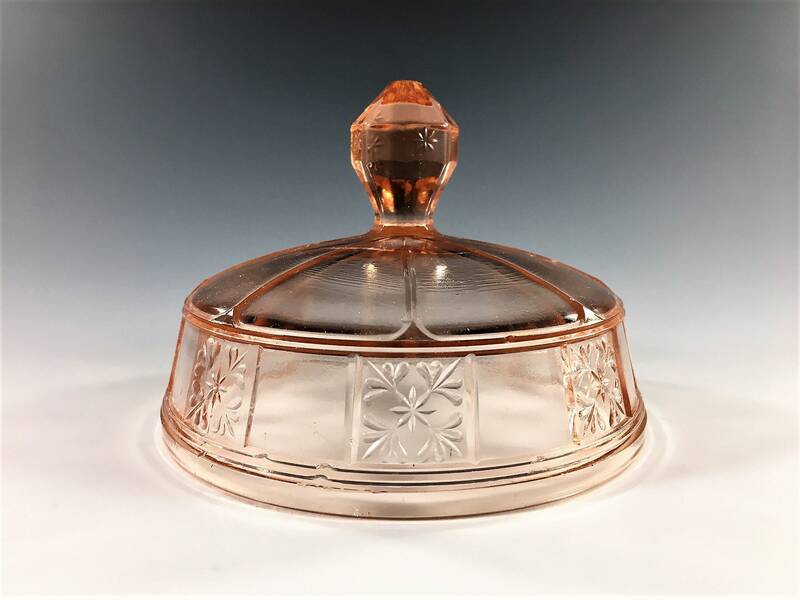 Featured is a beautiful pink Depression Glass butter dish lid from Jeannette Glass. 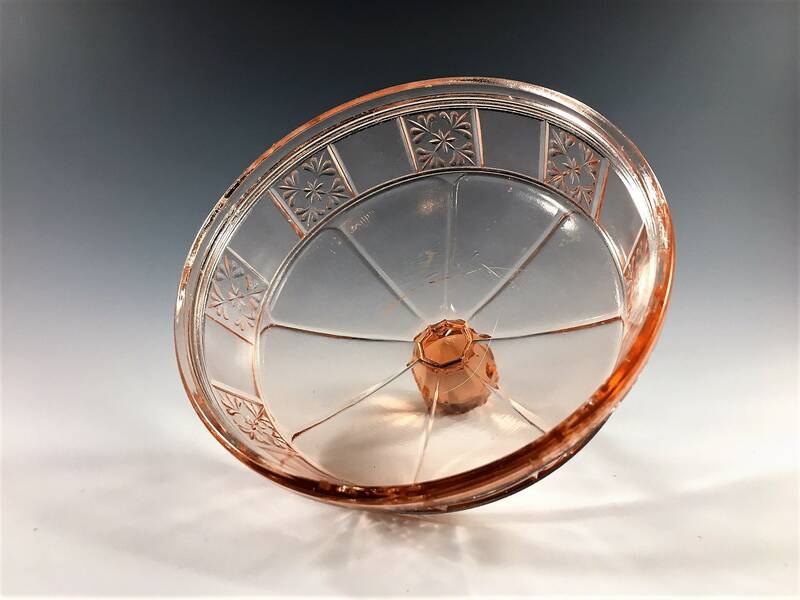 This piece is in the popular Doric pattern that was produced from 1935-38. 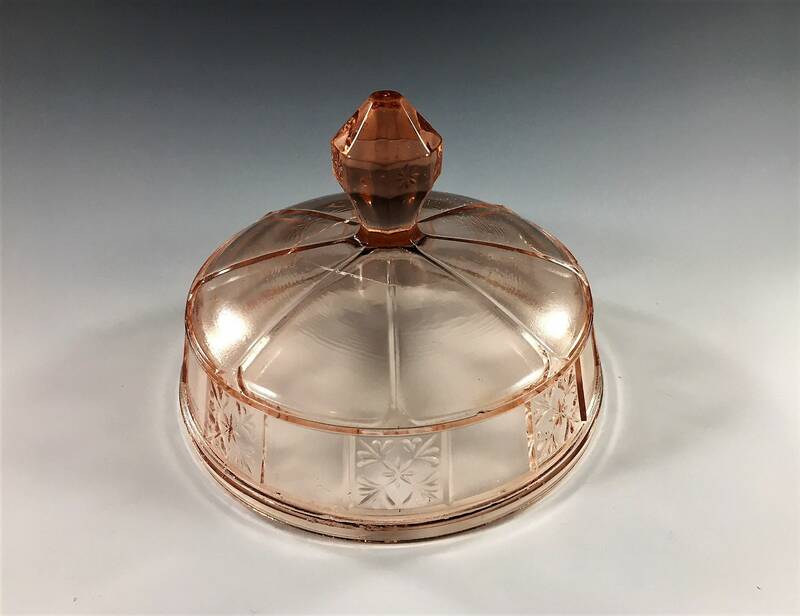 This covered butter dish lid measures about 4 7/8 inches in diameter and about 3 inches tall to the top if the finial. It's in good condition, free from chips or cracks. Note - this is just the LID. The butter dish base is not included.